• Please allow 7-14 business days from receipt of payment and signed quote. • Prices based upon kits for “roll formed” and “structural 3-inch channel” uprights only. • For custom sizes and custom styles, call 1-800-647-2257. 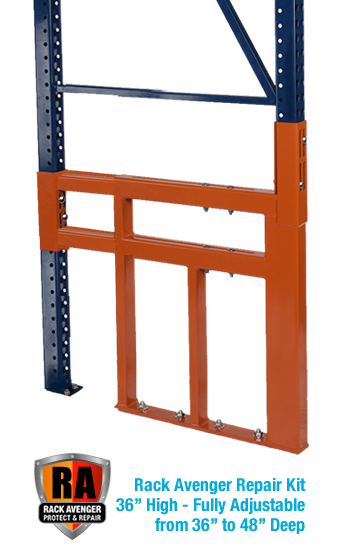 • All RACK AVENGER REPAIR KITS are ORANGE, other color options are considered “CUSTOM”, and need to be quoted separately. 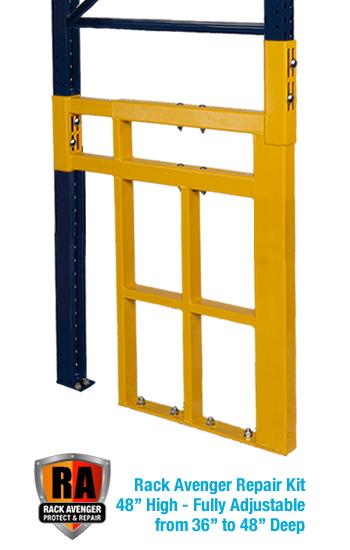 We will train your personnel to property install our RACK AVENGER KITS. RACK AVENGER KITS installed by your trained personnel will be covered by our 20 year warranty. 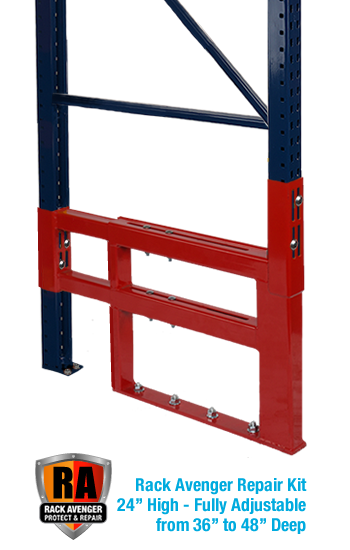 *If you install the RACK AVENGER KITS following our directions and specs and you damage it, we will replace the damaged kit for FREE, along with the shipping and labor.